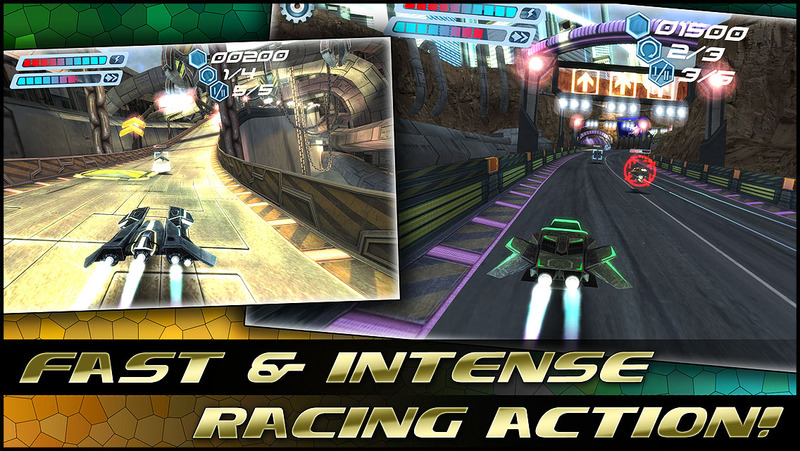 The fastest and most anticipated futuristic racing game for iOS in history is finally here! FLASHOUT 3D by Jujubee is the best racing experience for your mobile device! Get into one of your ultra fast ships and join the competition! Use rockets and guns to fight your way to victory in all events and become the best racer in the whole galaxy! Great and unique electronic music! 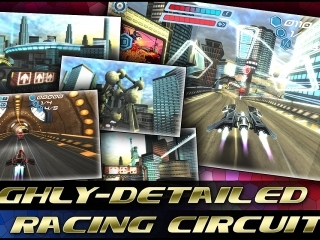 Highly-detailed and amazing racing circuits (New York, Beijing, Berlin and many more)! Precise, fun and awesome controls! Many cool and useful bonuses! Deadly and destructive arsenal of weapons! Clever AI, adapting to your style of play! Interactive Equalizer – music affects graphics! Leaderboards and achievements via Game Center! But there’s more! The game has some of the best and most accessible controls to allow you to focus on the pure action and an addicting Career Mode that will keep you busy and entertained for hours! "FLASHOUT 3D goes a long way towards bridging the gap between big name franchises on the consoles and mobile offerings!" "This gem had me captivated. 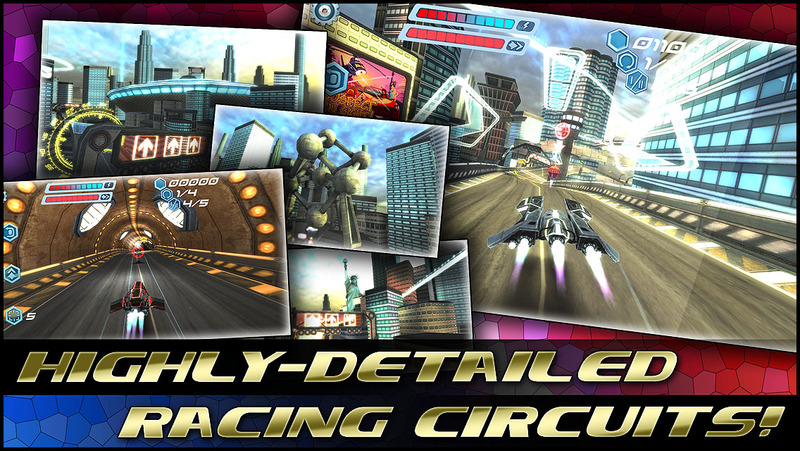 If you’ve got any interest in racing games at all, pick FLASHOUT 3D up!" 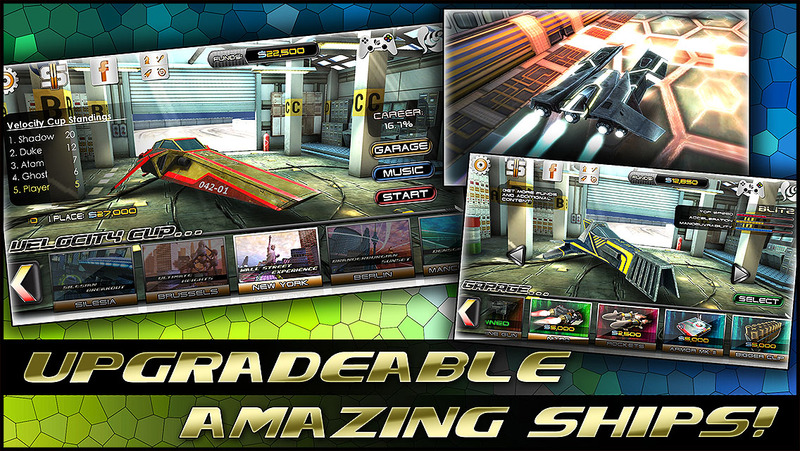 "FLASHOUT 3D by Jujubee is the closest thing the App Store has to Sony’s popular racing series Wipeout!" E3 2013, Jujubee releases the making of video for FLASHOUT 3D for OUYA! 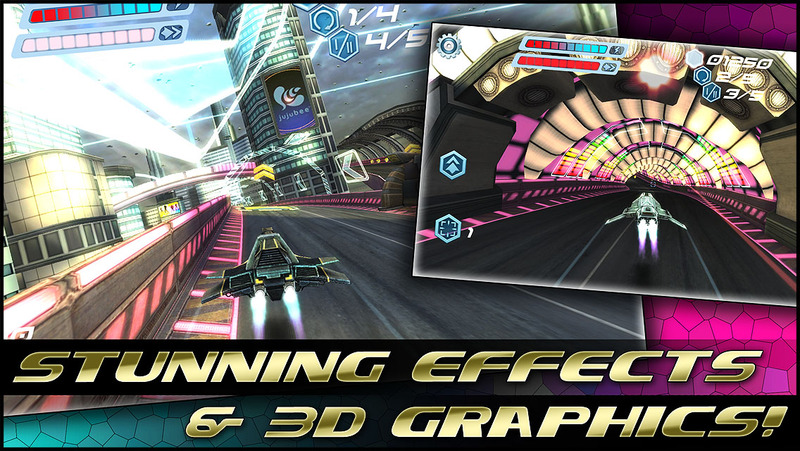 FLASHOUT 3D, the futuristic racing game by Jujubee, is now available for the Mac platform! 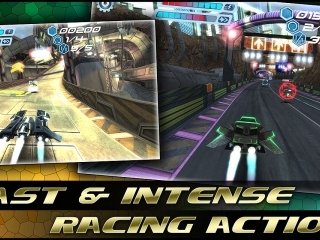 FLASHOUT 3D, the futuristic racer by Jujubee, is now available for the OUYA gaming console! Jujubee updates FLASHOUT 3D for iOS and Android! 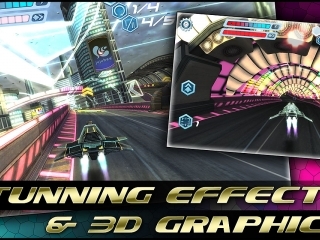 FLASHOUT 3D, the futuristic racing game by Jujubee, is now available for Android via Google Play! Jujubee releases FLASHOUT 3D FREE and updates FLASHOUT 3D to version 1.1! 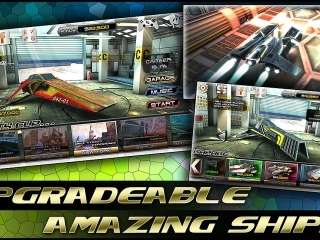 FLASHOUT 3D, the futuristic racing game by Jujubee, is now available in the App Store! Jujubee reveals the release date of FLASHOUT 3D for iOS, the futuristic racing game! Jujubee Games Studio announces two new games for iOS, Android, Mac and PC!